Tanya’s Tadpoles offers holiday intensive swimming classes each week of the summer school holidays. 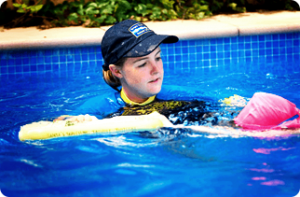 Holiday swimming programs comprise one or more weeks of lessons each day in your pool. It is a fun activity for the holidays and kids often have more energy when there aren’t the term time distractions around! We really recommend these intensive holiday lessons programmes as you can see distinct progress in a short period of time. The repetition over consecutive days enables kids to retain information and improve skills to help their swimming – especially at the time of year when kids are spending so much time in the pool or at the beach. Holiday programmes are also offered in the September and April school holidays – please click here to enquire about dates or programmes. if you have any questions you would like answered about holiday swimming lessons.